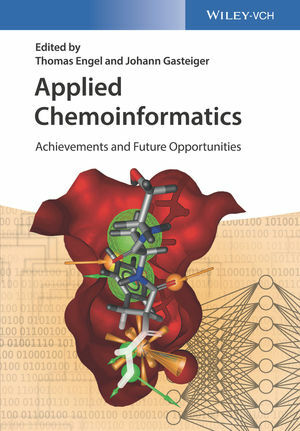 Edited by world-famous pioneers in chemoinformatics, this is a clearly structured and applications-oriented approach to the topic, providing up-to-date and focused information on the wide range of applications in this exciting field. The authors explain methods and software tools, such that the reader will not only learn the basics but also how to use the different software packages available. Experts describe applications in such different fields as structure-spectra correlations, virtual screening, prediction of active sites, library design, the prediction of the properties of chemicals, the development of new cosmetics products, quality control in food, the design of new materials with improved properties, toxicity modeling, assessment of the risk of chemicals, and the control of chemical processes. The book is aimed at advanced students as well as lectures but also at scientists that want to learn how chemoinformatics could assist them in solving their daily scientific tasks. Together with the corresponding textbook Chemoinformatics - Basic Concepts and Methods (ISBN 9783527331093) on the fundamentals of chemoinformatics readers will have a comprehensive overview of the field.